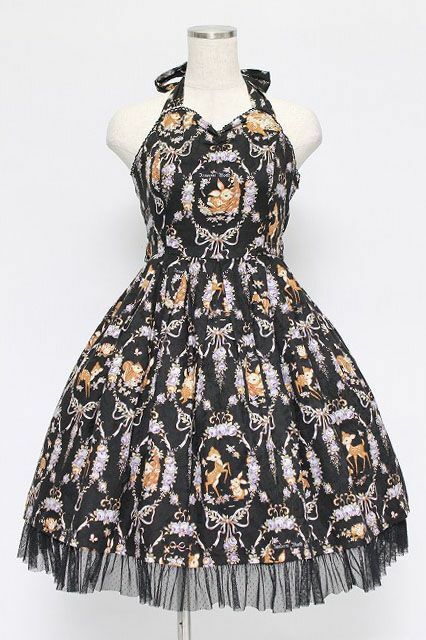 Cute vintage style halterneck JSK. Black with floral frame design featuring deers and bunny rabbits. Cute woodland animals design. Please note a small damage to the dress as shown in picture: one button is missing from one waist tie, it is still held in place by the other remaining button. Could easily be fixed if you can find a matching style button. Starting price reduced to account for this damage.